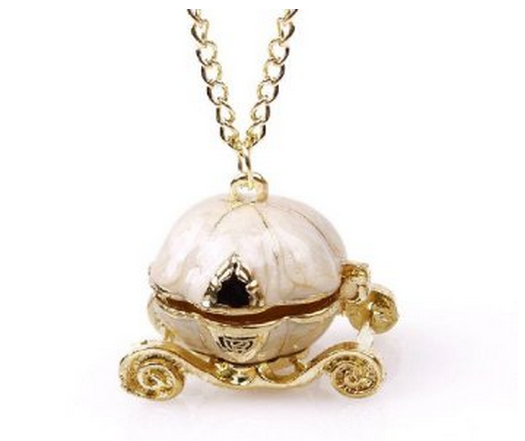 Vintage Cinderella Pumpkin Carriage Locket Necklace Only $2.28 With FREE Shipping! You are here: Home / Great Deals / Amazon Deals / Vintage Cinderella Pumpkin Carriage Locket Necklace Only $2.28 With FREE Shipping! Calling all Cinderella fans! Amazon has this Vintage Cinderella Pumpkin Carriage Locket Necklace for only $2.28 with FREE shipping!